One of the common criticisms of modern media is that people have run out of ideas, and that everything that we see is a repetition of something that came before. While this is a contentious enough claim based partially in an over-analysis of tropes and truisms, it is true that those looking to create popular culture stories for movies have looked elsewhere for inspiration in recent years. There have been movies based on blogs for instance, which is a form of media copying another. In terms of media, many people don’t consider theme park rides to be a form of media, but under certain circumstances they can be. Of courses roller coasters are not really a form of media, but some rides are. After all at Disney World and Disney Land many of the rides consist of a moving vessel which undergoes some mild thrills in the form of chutes or slides, and a story of sorts being told through the depiction of various themes. In short it serves as a sort of moving theater without a real plot, and is thus is kind of its own form of media (or at least a weird version of theater). With the crossover of almost all forms of media from on into another, it thus stands to reason that eventually that someone at Disney would get the idea to base some stories on their own rides, which doubled as extra incentive to take children to the theme parks (if they actually needed more incentive). Surprisingly though, with one notable exception, the transfer to other forms of media has been pretty mediocre, yet recent developments with Disney and Marvel might indicate the path forward for these ventures. 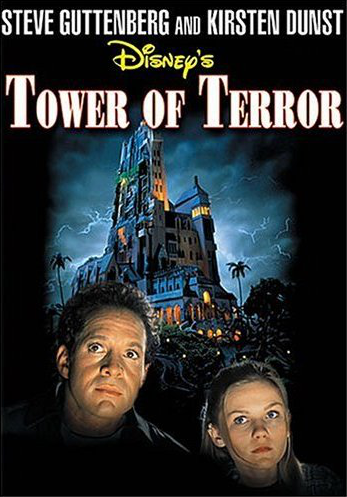 The first movie in this short history of Disney attractions is the Tower of Terror, released in 1997. Featuring Disney staple Steve Guttenberg and pre-Spider-Man Kirsten Dunst, this is the only film of this kind that was released directly to television. It is also notable for its use of the actual ride as a set for the filming as opposed to the other movies which have relied on different settings. This features a fairly typical ghost story and was filmed for a younger audience as it originally appeared on the Wonderful World of Disney. The second movie in the sequence is the Country Bears, a film based on the ride/show Country Bear Jamboree. 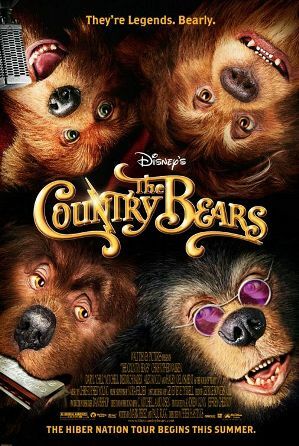 This film was released in 2002 and mixed animatronics with real life actors to tell the story of one of the youngest of the Country Bears who discovers his true destiny after being raised by human parents. This was another Disney movie aimed at a younger crowd as it contained rehearsed dance numbers by children and a silly enough premise. Not surprisingly the film grossed back less than half of its budget in ticket sales. Out of two mediocre films that were either failures or forgettable came Disney’s greatest success. 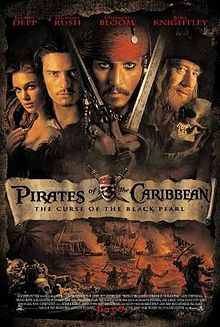 Although it might have seemed absurd at the time, Pirates of the Caribbean: The Curse of the Black Pearl was a film which ventured well past what was offered in the ride. Although the plot was perhaps a little basic in certain respects, it was equally a movie that was full of a lot of elements that make a movie exciting. Special effects provided a realistic enough supernatural element, but the movie is tied mostly to the over-the-top role played by Johnny Depp, which resulted in an Academy Award nomination for best actor. Additionally the movie helped to make stars out of its other two leads, Oralndo Bloom and Keira Knightley, who while already known well enough in Hollywood, had not yet been considered to be proper A-list actors. The 2003 film was followed by sequels in 2006, 2007 and 2011 with another sequel expected in 2017, with the latter to each featuring one half of the married couple of Penelope Cruz and Javier Bardem. It is by far the most successful of the Disney rides turned into movies, with gross ticket sales surpassing $3.5 billion. After the success of Pirates of the Caribbean, some thought that Disney might be entering into a period of success for these adaptations, but the follow-up to its big hit was another poorly received movie as the Haunted Mansion failed to gain critical success, even if its box office draw was not as bad as the others. 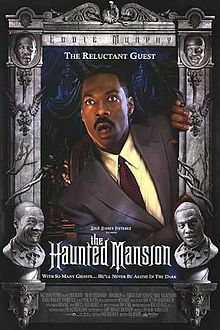 Starring Eddie Murphy in a story that was once again loosely based on the ride, many criticized it for now being scary enough, or funny enough considering that Eddie Murphy was involved. Despite its lackluster final product interest rests in retelling the story by Guillermo del Toro, who might be able to realize a stronger concept considering some of his previous works. In a bit of a twist, the next movie in the Disney catalog, is not one based on a ride specifically, but rather an entire section of the park, known as Tomorrowland. Although it is still unreleased, it holds a great deal of promise, telling a broader story as Pirates of the Caribbean did, and it doesn’t hurt either that big names like George Clooney and Brad Bird are associated. While there are also rumours of a movie based on “It’s a Small World” (which would presumably be somewhat Carmen Sandiego-like), this is maybe not the way forward for Disney films. 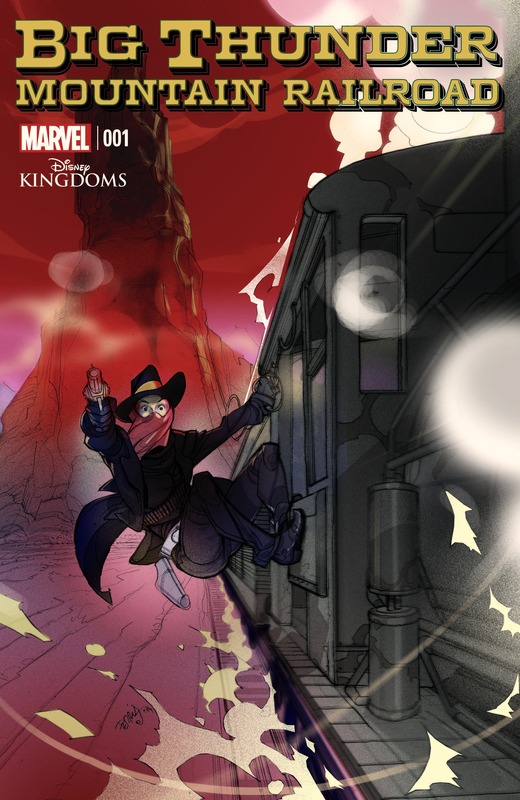 Since 2009 Disney has owned Marvel Comics, and while speculated on what that might mean for the future of Marvel, it has mostly remained unchanged in terms of the Marvel universe of superheroes. What is in interesting possibility though is the new miniseries Big Thunder Mountain Railroad. After the hit-and-miss (though mostly miss) run of fiction based on rides, this is a chance for Disney to test ideas in a safer market without investing millions of dollars into an idea that might make back less than half of the money invested. If this is the case, Marvel could also act as an incubator for movie ideas which Disney thinks might fail on the big screen, and this could be a place to see if they could succeed and to fine tune the idea before putting it into production. Thus maybe if there is to be a “It’s a Small World” movie, it might show up at Marvel first.